Current product offerings are listed below. As products are added, we will add product pages and link them here. Herbal Remedies: Natural helpers to combat a variety of concerns. 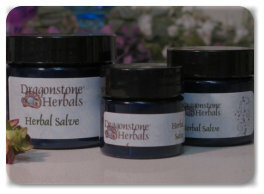 Both the herbal salve and the chest rub are suitable for young children. We even use the herbal salve on our pets and our vet loves it! 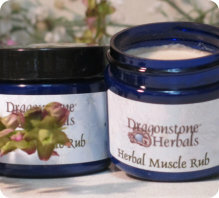 Herbal Muscle Rub Our Muscle Rub is made with a proprietary blend of herbs designed to promote healing while reducing inflammation. Herbal Salve for Scrapes and Scratches Full of herbs that kill all sorts of bacteria and promote healing at a cellular level. It’s powerful herbal medicine but still safe for children and pets. Herbal Chest Rub for Congestion A natural alternative to petroleum based products when your sinuses need a little help to clear out. We also offer a children’s version that is gentle on their delicate nasal passages. Bath and Body: Luxurious products to make your bathing experience the best it can be! Whether you’re looking to polish your skin, exfoliate, moisturize, or just soak away your stress you’re sure to find something yummy for your bath or shower. 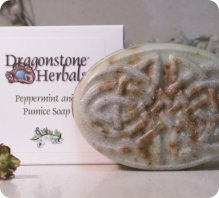 Shea Butter Soap with Pumice Great for sloughing off dead skin. 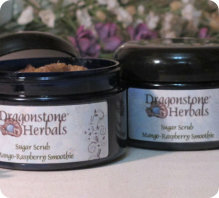 Sugar Scrub Exfoliate and moisturize at the same time. 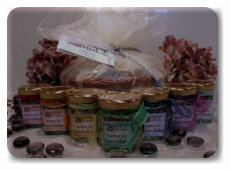 Salt Scrub Help remove toxins while polishing your skin. Body Butter Decadent moisturizing blend that works great in the shower. Blissful Indulgence TM Bath Kits Neat little kits with bath oil, herbs, pink Himalayan salt, and a little bar of scented soap. Perfect for gift giving! For the Face: Hydrating and soothing blends especially for your face. 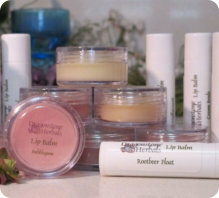 Lip Balm Emollient rich balm to soothe dry lips. 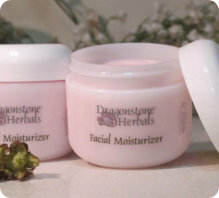 Soothing Facial Moisturizer A blend of rich moisturizing butters and oils blended with soothing herbs. Perfect for the “just washed” face. Shaving Soap with Aloe Perfect for those who prefer a “soap and water” shave but don’t want to miss out on protecting their skin. Relaxing Scents: Soothe the mind as well as the body with our special aromatherapy blends or just relax with a lovely scented candle. Aromatherapy Special blends to relax, energize, or help clear your chakras. Soy Wax Candles Scented candles that go perfectly with our bath products.